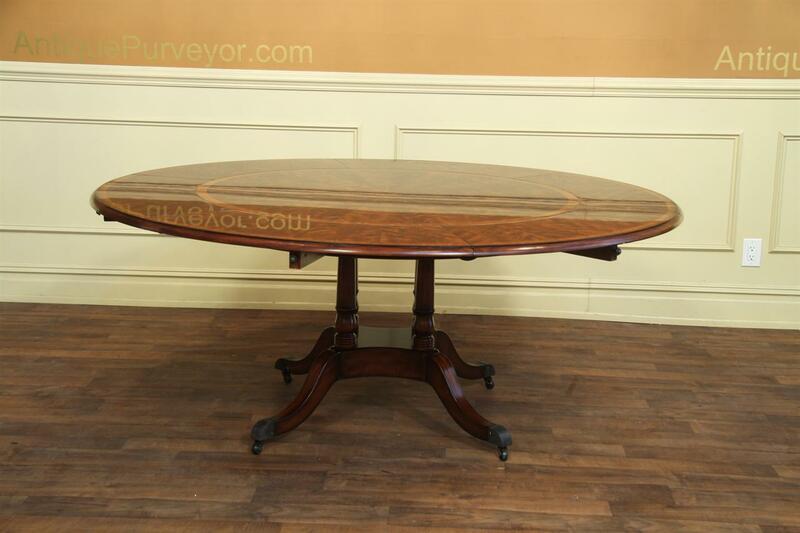 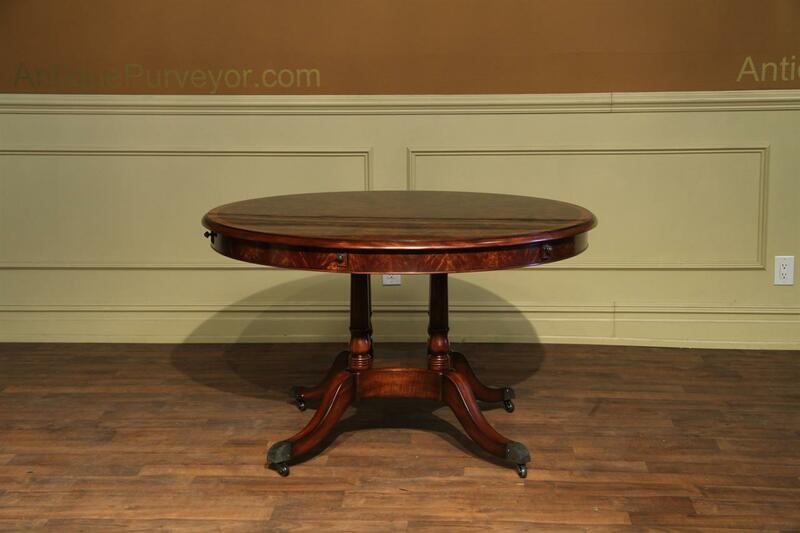 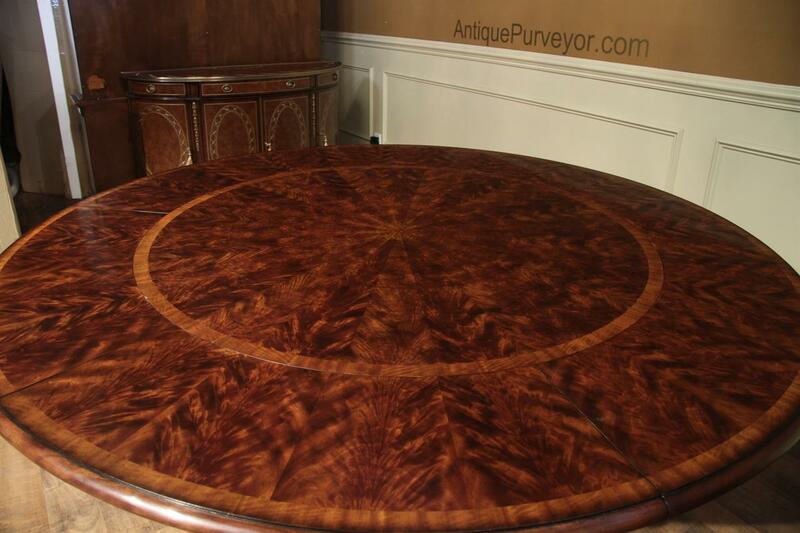 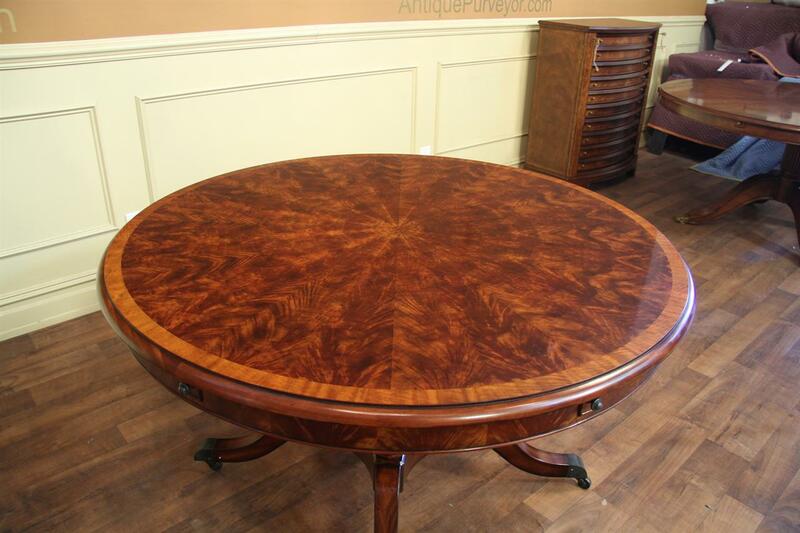 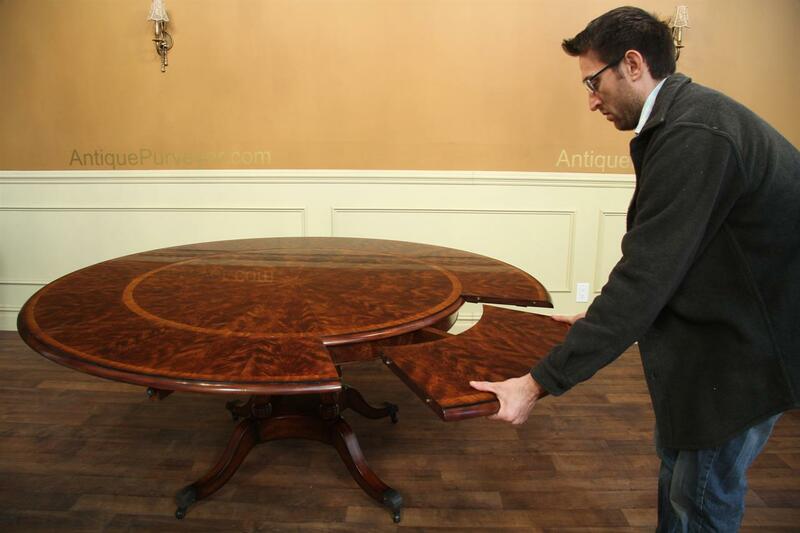 Description: High end round to round mahogany dining table starts at 50 inches round and opens to 74 inches round. 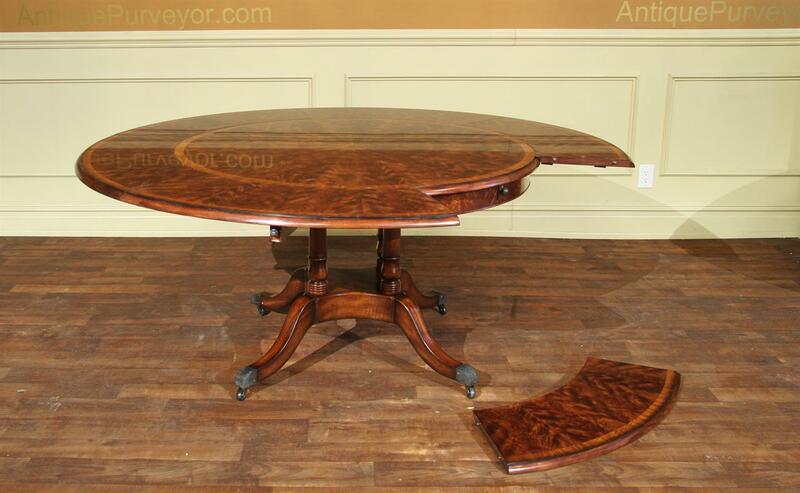 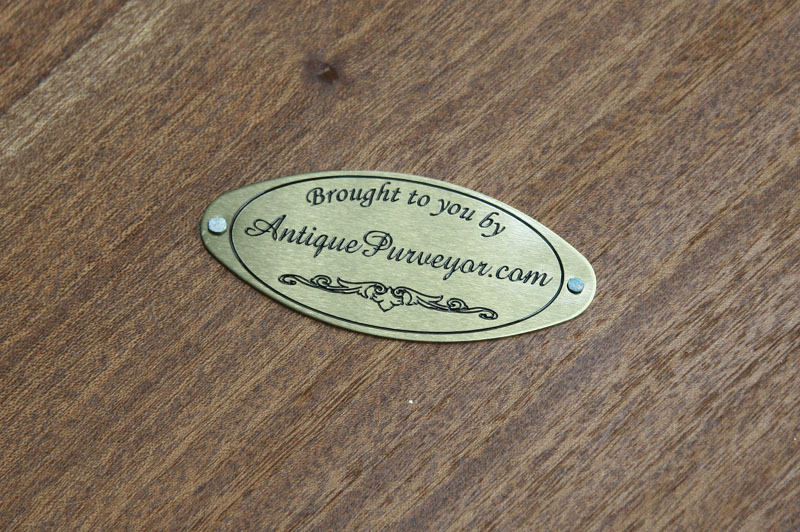 This is a fine high-end antique reproduction dining table. This table will seat 4 to 5 guests but can also accommodate 8 or 9 guests when the perimeter leaves are in place. 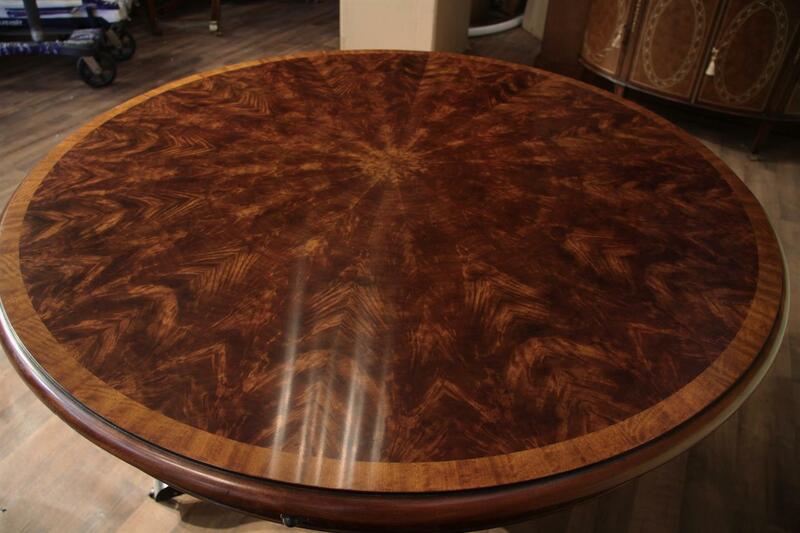 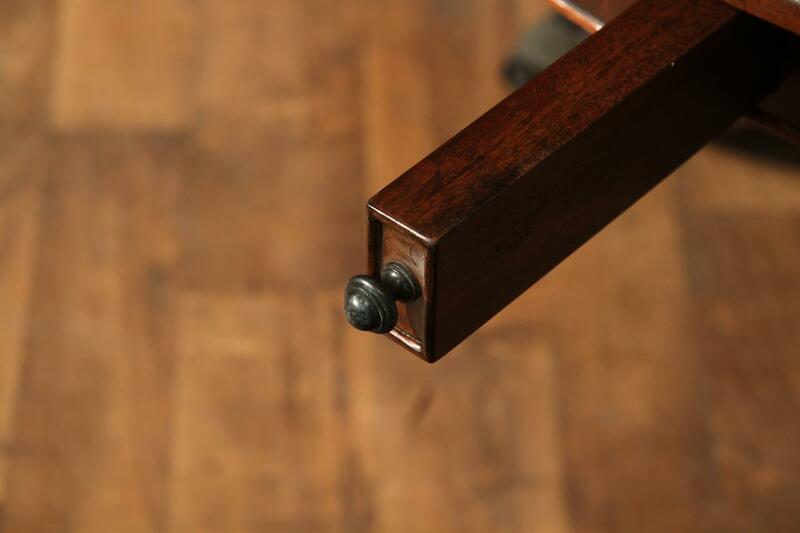 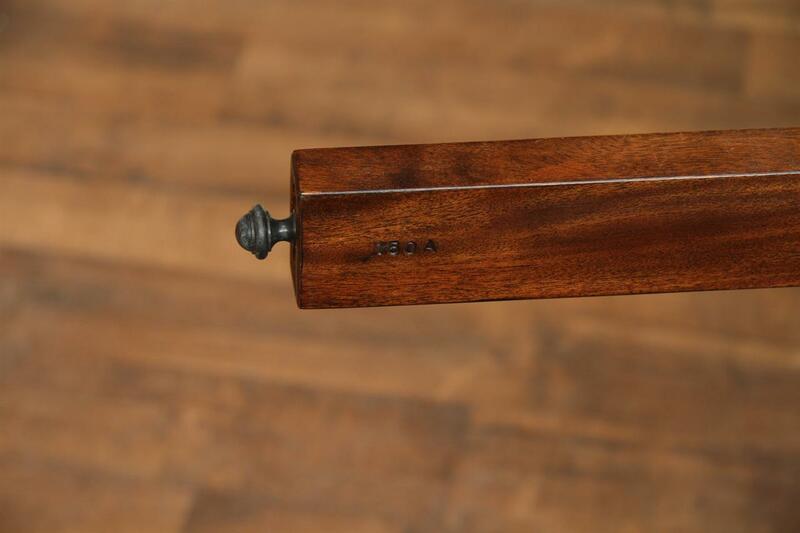 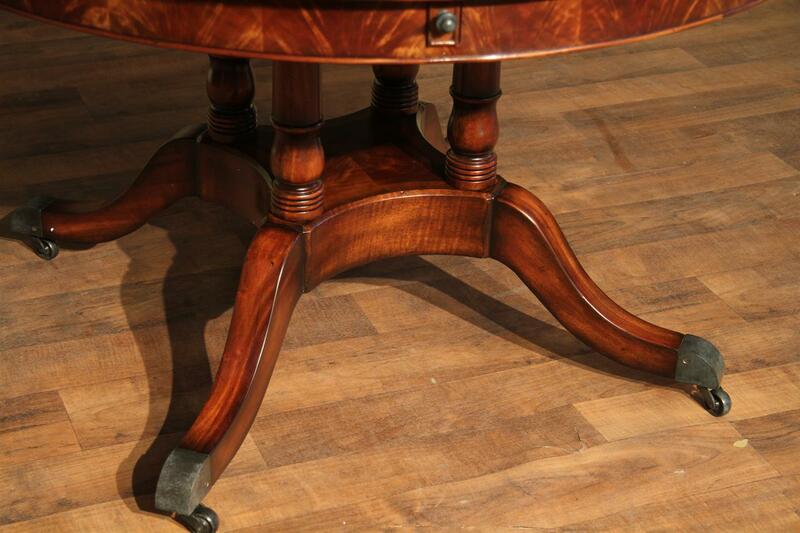 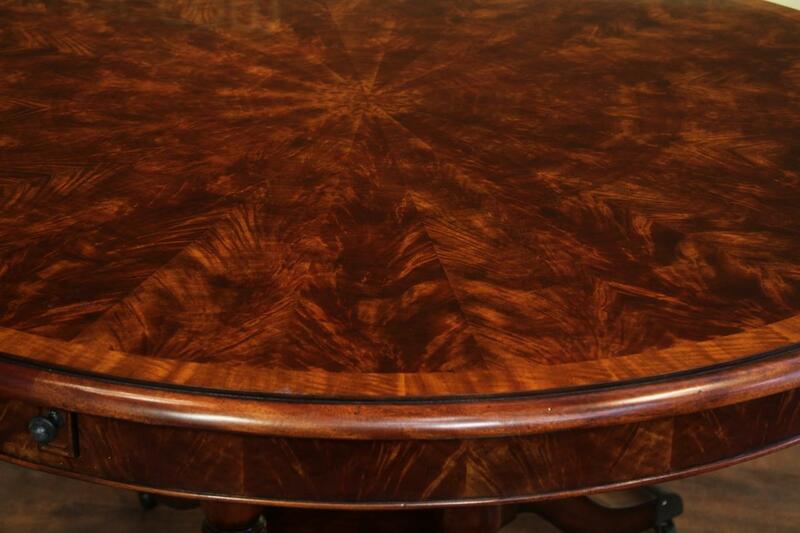 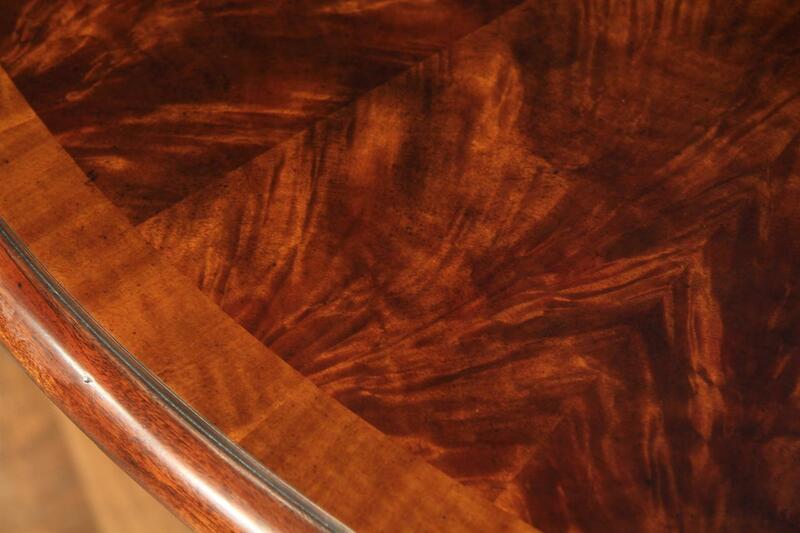 The table and the leaves are inlaid with a historic mahogany banding. 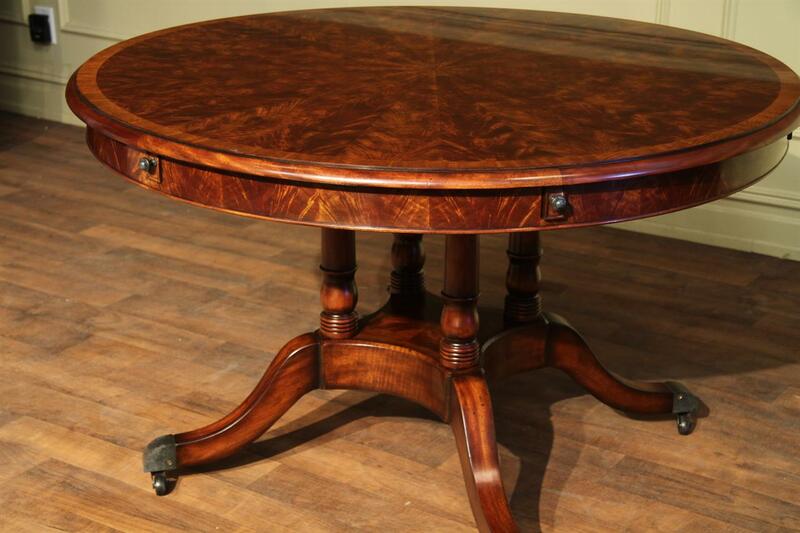 The traditional base is a birdcage style pedestal making the table top extremely sturdy. 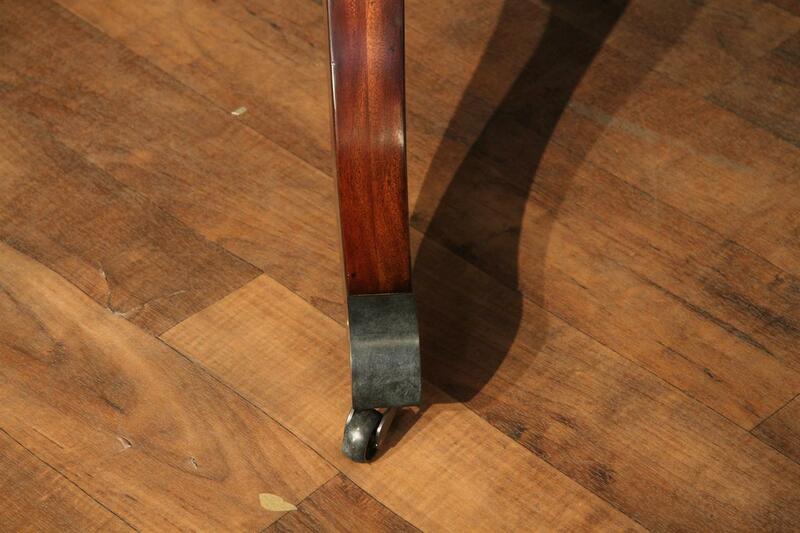 The saber legs terminate with antiqued brass capped feet and castors. 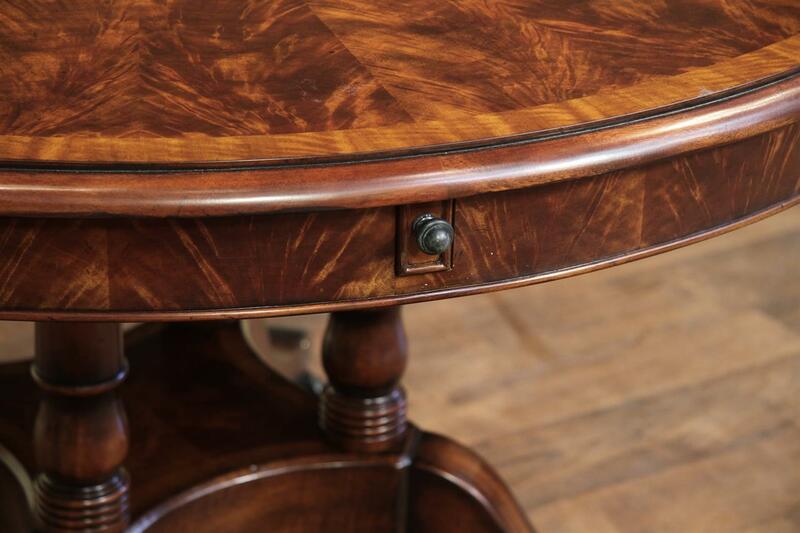 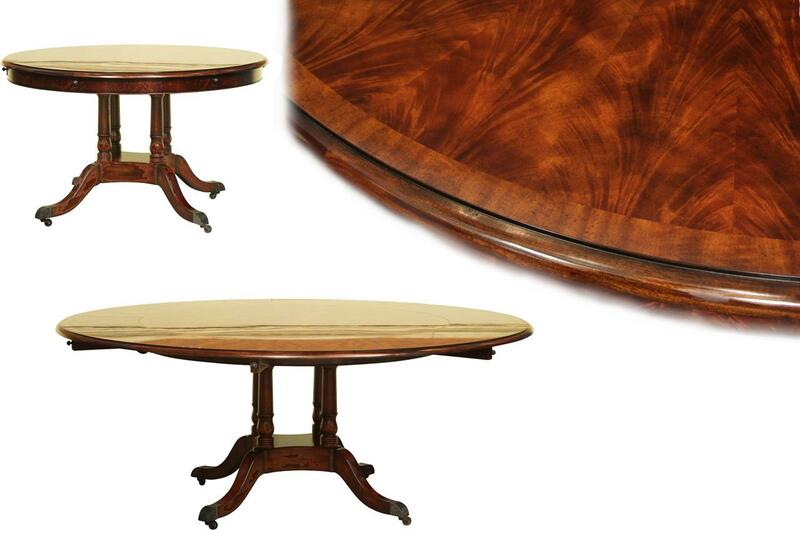 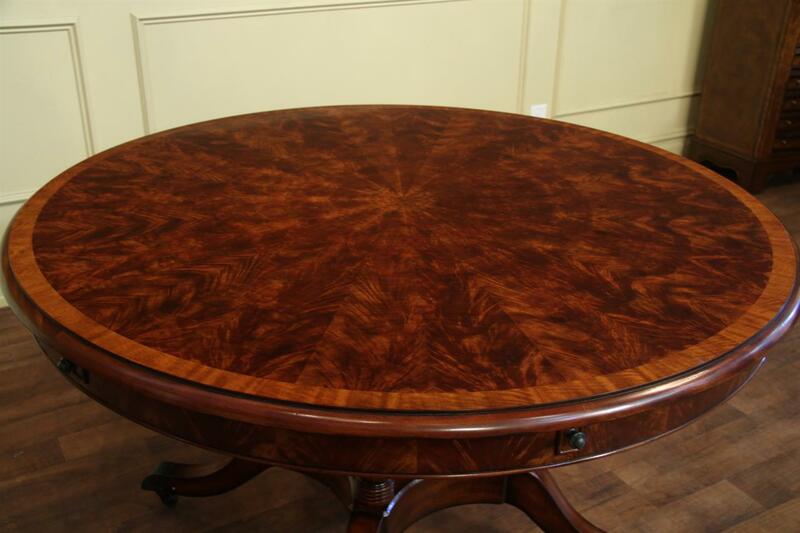 This table is done in a classic regency style and it is an elegant consideration for a formal dining area.